After two hard fought home wins, Dundee United faced a tough trip to East End Park to take on Dunfermline Athletic. This match had been rearranged after a late postponement due to a waterlogged pitch eleven days earlier. United had won their last two games but their opponents had been on a magnificent run of form, having won their last five games without conceding a goal. Head coach Robbie Neilson made four changes from the team which started the previous Saturday’s win over Alloa Athletic, with Pavol Safranko, Ian Harkes, Peter Pawlett and Charlie Seaman replacing Nicky Clark, Paul Watson, Sam Stanton and Cammy Smith. Goalkeeper Ben Siegrist kept his place despite his error on Saturday which led to Alloa’s goal. United kicked off on a cold but clear evening in Dunfermline. The first chance came for the home side after three minutes when Ryan Blair curled in a free kick from the right which evaded everyone in the United penalty area and drifted wide. A free kick at the other end a couple of minutes later led to a similar result when Ian Harkes played the ball short to Charlie Seaman, but the Bournemouth loanee’s cross was beyond everyone in the Dunfermline penalty area. Another United free kick after eight minutes saw another chance, but Peter Pawlett’s shot was comfortably saved by Ryan Scully. Dunfermline broke clear from that free kick but luckily for United a poor final ball prevented any threat to their goal. 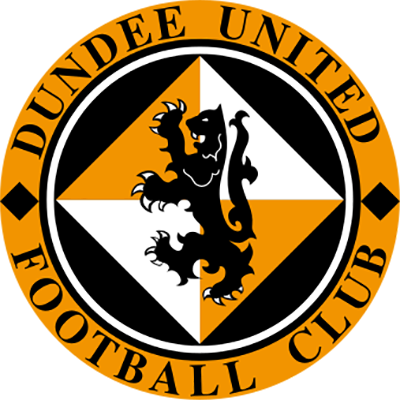 United won yet another free kick after ten minutes when Danny Devine was arguably rather fortunate to avoid a booking for fouling Peter Pawlett, but Ian Harkes rather wastefully sent the ball wide for a goal kick. 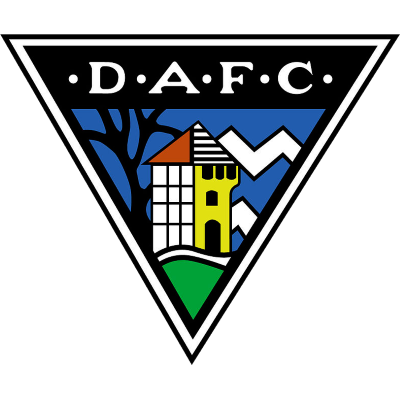 Dunfermline had their first effort on goal in the thirteenth minute when Louis Longridge was able to get a shot away after being played in by Bruce Anderson, and although Ben Siegrist needed two attempts he was eventually able to smother the ball. Kallum Higginbotham then sent a good cross field pass to Jackson Longridge, who sent in a great ball that Bruce Anderson narrowly failed to get on the end of. The two Longridge brothers then linked up well a few minutes later but they were crowded out by United defenders before either could get a shot away. Louis Longridge did manage to get a cross in a minute later but Bruce Anderson was unable to connect properly with his pass into the box. Soon afterwards, Jackson Longridge crossed into the United box. Callum Booth failed to cut the cross out and the ball deflected wide for a goal kick off Kallum Higginbotham. Despite the pressure the home side had, the first goal came on the 24th minute for the visitors. Pavol Safranko passed the ball to Peter Pawlett a few yards inside the Dunfermline half, and the winger embarked on a powerful run into the box, beating several Dunfermline players before slipping the ball under Ryan Scully to give United the lead. It was a fine goal, as well as being the first goal Dunfermline had conceded in six games. The away side came very close to doubling their lead three minutes later when a Peter Pawlett corner was headed towards goal by Pavol Safranko, and only a clearance on the line from Lee Ashcroft prevented a second United goal. Dunfermline responded by winning a corner at the other end, although the kick from Ryan Blair was headed wide of the post by Lee Ashcroft. United should have done 2-0 up after 33 minutes as they were foiled by an excellent couple of saves from Ryan Scully. Peter Pawlett turned and shot from the edge of the area and Scully was forced to tip the ball wide. From the corner, Calum Butcher saw a shot saved by Scully before Pavol Safranko saw a header blocked on the line by the Dunfermline goalkeeper on the rebound. With four minutes until the break, Paul McMullan broke forward down the right hand side and hit a shot from a narrow angle that Ryan Scully was forced to parry. The goalkeeper got a lucky break as the ball rebounded off Pavol Safranko and behind for a goal kick. In the final minute of the half Pavol Safranko headed wide from a Paul McMullan cross and that heralded the end of a first half which United had largely dominated since taking the lead. Neither side made any changes at half time. The home side had the first chance a couple of minutes into the half when a run by Louis Longridge saw the former Falkirk player fire the ball across goal, but the ball was too strong for Bruce Anderson to get on the end of, and the ball went out of play for a United throw in. Ryan Scully was forced into his first save of the second half a minute later as he was forced to push wide a Pavol Safranko drive from the edge of the area after the Slovakian striker had barged his way past three Dunfermline players. At the other end a minute later, a James Craigen cross was met at the back post by Joe Thomson, but the ball went past the post. Safranko had another chance ten minutes into the half as he got his head onto a Callum Booth cross, but it was a difficult chance and he was unable to steer his header towards goal. The next United break came through Charlie Seaman who tried to thread the ball through to Ian Harkes, but the ball drifted behind for a goal kick. Paul McMullan then saw a shot deflected wide by Lee Ashcroft. Ryan Scully nearly cost his side in the 66th minute when he battered a clearance off Ashcroft, but much to his relief the ball spun out of play. Pavol Safranko then had yet another headed chance as he met a Peter Pawlett corner, but he headed the ball off the crossbar and over. That was Pawlett’s last act of the game as the United goalscorer was replaced by Sam Stanton. With fifteen minutes to go Louis Longridge picked up a bizarre yellow card as he was booked for a clash with Calum Butcher, before Jamie Robson also picked up a yellow card for a late challenge on Dunfermline substitute Faissal El Bakhtaoui. The free kick from Ryan Blair was deflected wide for a corner kick which was headed clear by the tireless Pavol Safranko. One former Dunfermline player then replaced another for Dundee United when Nicky Clark came on for Paul McMullan. With ten minutes left, it was looking like United were content to see out the game and hold what they had. Having said that, they did still look dangerous on the break and with seven minutes to go Charlie Seaman was able to break forward down the right, but as he got into a good crossing position, he was crowded out by Dunfermline defenders and the danger passed. At the other end, a good ball across goal by Jackson Longridge was just too strong for Bruce Anderson, a healthy reminder for the United players that the job was not yet done. With two minutes left Pavol Safranko was still full of running, chasing down a passback from Lee Ashcroft and forcing Ryan Scully into slicing his attempted clearance out of the park for a corner kick. Despite the home side forcing a couple of corner kicks of their own during the four minutes of stoppage time, United held on for their third straight victory. The win took them to within two points of Ross County at the top of the Championship table, albeit having played two more games than the Staggies.